As you know by now, CoolSculpting is stubborn fat’s arch enemy. The amazing fat-freezing procedure is successfully helping people contour their bodies without the need for invasive and dangerous surgeries. So if CoolSculpting serves as a superhero, of sorts, in the battle against stubborn fat, what are its sidekicks? You’ll probably hear that it’s important to maintain a healthy diet for the rest of your life. Doctors and health nuts alike all agree that eating the right foods can mean the difference between keeping the fat off, and unknowingly welcoming it all back. Therefore, it’s important to keep in mind what the best foods are to assist you with the fat-burning process. On eHow.com, Janin Santa writes that there are a number of foods that help your body to burn stored fat. If you are looking to maintain a slimmer and healthier figure, CoolSculpting treatments can certainly help you to get there, but consuming the following foods will most definitely help you to stay there. Pectin Peels. Look for foods that are rich in pectin, recommends Santa. They promote the absorption of water which, as mentioned, helps to remove fat waste from the body. You can find pectin in citrus peels, apple rinds and beets. Whole Grains. Be sure to get your fill of breads and cereals that are made with whole grain soluble fibre. 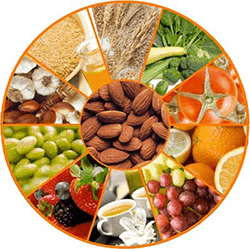 They help to eliminate bad cholesterol in addition to keeping your blood vessels unclogged. This allows your heart to pump efficiently, helping your body to burn fat and stay lean. Beans and Nuts. Meat-eaters everywhere scoff at the idea that beans and nuts provide the essential amount of protein required in your diet – but it’s true. And making sure you consume enough protein will ensure that you build muscle as you exercise. Doing so will also help you to burn any excess fat. Legumes. Also great sources of protein that can help your body accomplish the same effect as eating beans and nuts are tofu, soybean, kidney beans, pinto beans, chickpeas, garbanzo beans and even peanuts, walnuts, almonds and cashews. Be proactive in your quest to burn fat. Eat the right foods, drink plenty of water and fat will meet its ultimate demise. Last but not least is volume, reduce the VOLUME of food consumed. Or, in other words, less calories. This is really the key to long term weight loss, reducing the amount we eat so our body can function efficiently and not try to store all those extra calories as fat.